C.J. Huntley jumped for a rebound as he’d done thousands of times playing basketball in his young life. But it didn’t end well, as his right leg buckled when he hit the ground. The otherwise normal pickup game during P.E. class at school left Huntley, then 14, facing an arduous recovery and questions about his potential on the court. 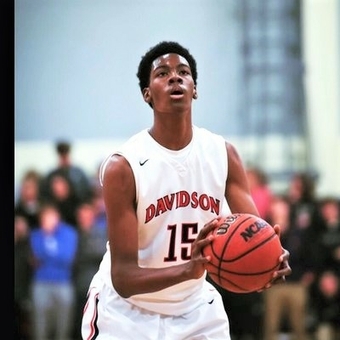 And he had bigger reasons to worry than most teens: the 6-foot-10 forward at Davidson Day School was already on a lot of college recruiting lists because of his height and rapidly developing talent. 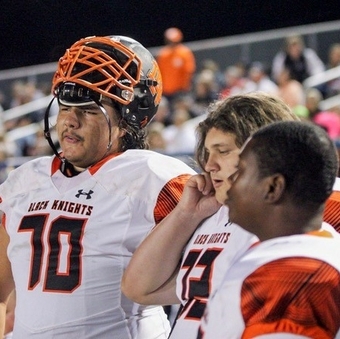 Three years later, Huntley, 17, continues to stand out. Orthopedic surgeon Dr. Jerry Barron of Novant Health Barron, Homesley & Valentine Orthopedic Specialists repaired Huntley’s ruptured patellar tendon, which attaches the bottom of the kneecap to the top of the shinbone (tibia). Barron also repaired a portion of Huntley’s damaged kneecap. He re-attached the tendon with sutures, rather than metal that could lead to complications later on. Huntley had another setback later when he sprained the medial collateral ligament (MCL) in his knee. That required a second rehabilitation under Barron’s care. Huntley wore a knee brace while he was sidelined. 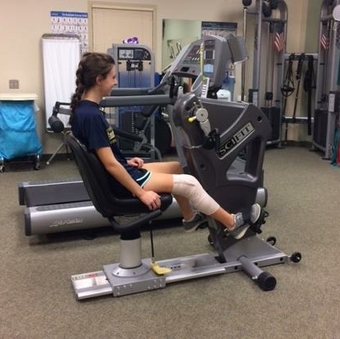 Huntley did physical therapy for about six weeks, and was facing a four-to-six-month recovery following surgery. Huntley said it was difficult to sit and watch as his teammates competed. But he had several things working in his favor – youth, a supportive family and responsible coaches. ​ C.J. Huntley, a junior at Davidson Day School, already has four college scholarship offers. Huntley’s immediate family is familiar with the ups-and-downs of athletics. His dad Chris played college basketball at Wingate (and is the Bulldogs’ second-leading career scorer). Mom Andrea played volleyball and softball at North Carolina A&T. C.J.’s twin sister is Cierra, who has committed to play volleyball at Virginia Tech. Huntley recently finished a strong junior season at Davidson Day, helping the Patriots to a 20-5 record and the second round of the NCISAA 2A playoffs. A standout game for Huntley was Davidson Day’s 62-49 win against Carmel Christian, the state’s top-ranked team at the time. He had 19 points (including four 3-pointers), six rebounds and three blocked shots. Johnson gets to enjoy one more season of Huntley in high school. He’s already received college offers to play at James Madison University, UNC Charlotte, High Point University and Presbyterian University. More offers are likely to follow as Huntley showcases his talent this summer with the AAU Pro Skills Basketball Elite 17-under team. 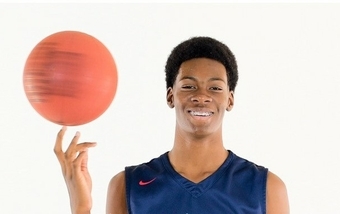 COVER PHOTO: Davidson Day School's C.J. 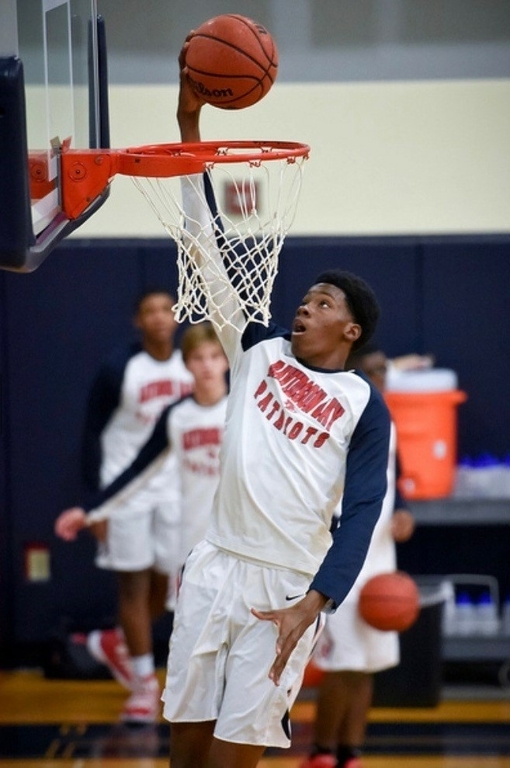 Huntley, a 6-foot-10 forward, helped the Patriots to a 20-5 record this season.